It's been two weeks since Lime scooters launched in New Zealand, and the Accident Compensation Corporation (ACC) has already dealt with 38 claims. 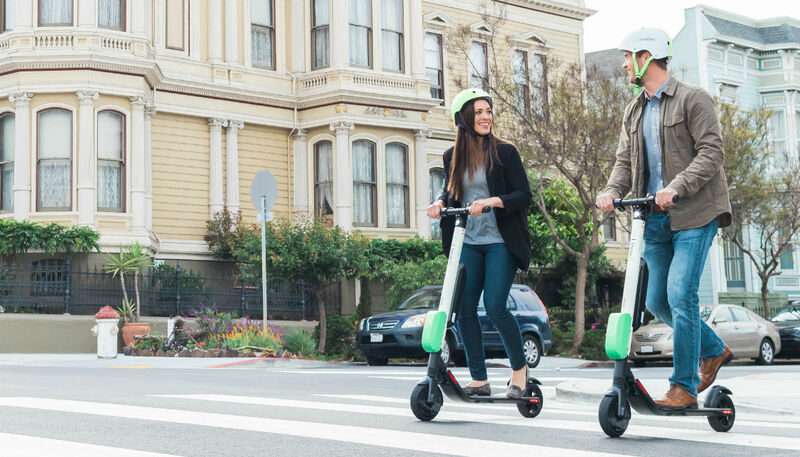 Lime scooters have been available to use in Auckland and Christchurch since October 14, and have faced a backlash from pedestrians and council concerned about the dangers of their high speeds. In Auckland, 27 ACC claims were made over the first two weeks, and 11 in Christchurch. ACC says the injuries range from lacerations to fracture and concussion - the latter considered a Traumatic Brain Injury by the Ministry of Health. Dr Andrea Shepperson is clinical director at Lumino, and said use of electric scooters on footpaths is "fraught with potential for injury". She said one patient was seen by doctors for a concussion before being referred to her for further treatment for her front teeth. Dr Shepperson said the patient "hit the pavement with her face" after swerving to avoid an elderly couple. "Her front tooth was knocked into her gum," she said. "We did some repositioning of the tooth, but couldn't get it back into its proper position. "Concussion is a serious medical injury, and dental injuries can be life-long. They can be permanent." Mayor Phil Goff called for an inquiry into the safety of the scooters after Auckland Councillor Christine Fletcher was almost hit by one on a pedestrian crossing. "I'm quite shaken by this," Ms Fletcher said at the time. "Maybe it was necessary for me to have that personal experience to take seriously the complaints that I've received". Dr Shepperson said the injury she saw would need orthodontic treatment, root canal treatment, and potential long-term monitoring of the tooth considering the nerve may have died. "ACC is helping to foot the bill, but it is very expensive," she explained. "As a health professional and a pedestrian, I am very concerned for people's safety." Dr Shepperson encouraged people to "hit the pavement with the Lime scooters, but not with their front teeth."